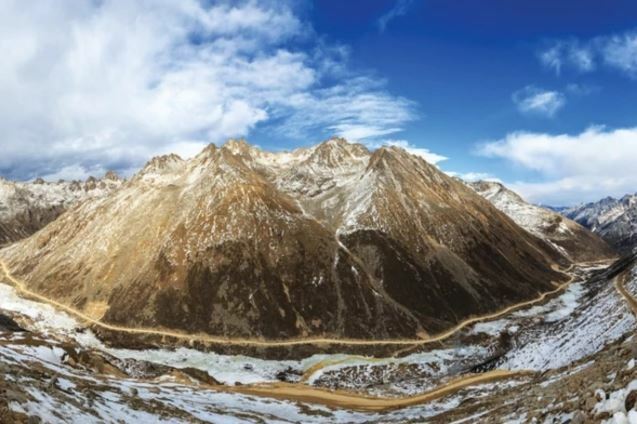 The first humans who ventured onto the Tibetan Plateau, often called the “roof of the world,” faced one of the most brutal environments our species has ever confronted. At an average elevation of more than 4,500 meters, it is a cold and arid place with half the oxygen present at sea level. Although scientists had long thought no one set foot on the plateau until 15,000 years ago, new genetic and archaeological data indicate that this event may have taken place much earlier—possibly as far back as 62,000 years ago, in the middle of the last ice age. 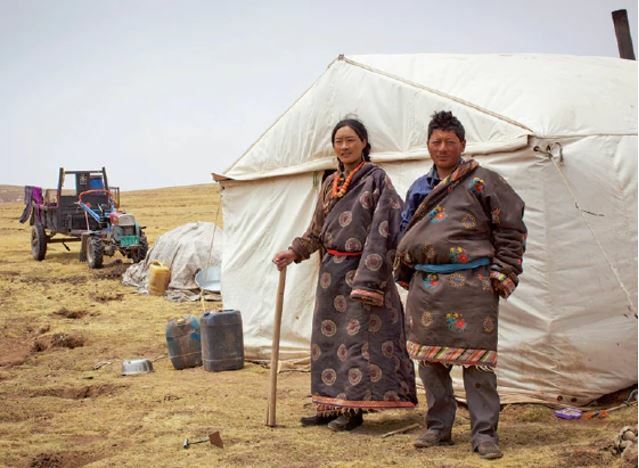 A better understanding of the history of migration and population growth in the region could help unravel the mysteries of Tibetans’ origin and offer clues as to how humans have adapted to low-oxygen conditions at high altitudes. As an ice age tightened its grip after that first migration, genetic mixing between Tibetans and non-Tibetans ground to a halt for tens of thousands of years—suggesting that movement into Tibet dropped to a minimum. “The migration routes were probably cut off by ice sheets,” Xu says. “It was simply too harsh even for the toughest hunter-gatherers.” But about 15,000 to 9,000 years ago—after the so-called last glacial maximum (LGM), when the ice age was at its harshest and Earth’s ice cover had reached its peak—thousands flocked to Tibet en masse. “It’s the most significant wave of migration that shaped the modern Tibetan gene pool,” Xu says. This meshes well with several independent lines of evidence showing that Tibetans began to acquire genetic mutations that protected them from hypoxia 12,800 to 8,000 years ago. Xu’s team was the first to sequence the entire Tibetan genome, and “the resolution is really impressive,” says archaeologist Mark Aldenderfer of the University of California, Merced, who was not involved in the research. The study, he adds, “provides fine details of how different populations from various directions may have combined their genes to ultimately create the people that we call Tibetans.” It shows that 94 percent of the present-day Tibetan genetic makeup came from modern humans—possibly those who ventured into Tibet in the second wave of migration—and the rest came from extinct hominins. The modern part of the Tibetan genome reflects a mixed genetic heritage, sharing 82 percent similarity with East Asians, 11 percent with Central Asians and 6 percent with South Asians.